Home>News>News>What does Mirova use external SRI agency for? 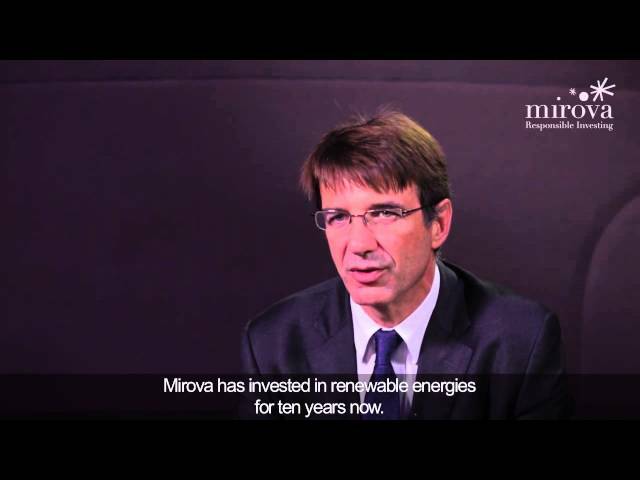 What does Mirova use external SRI agency for? Introduce us to Natixis Asset Management & Mirova. How do the two entities fit together? Natixis Asset Management is the armed wing, so to speak, of Natixis’ European investment solutions division with close to 300 billion euros of total assets under management. In keeping with the multi-affiliate structure of the Group, Natixis Asset Management is organized into six different investment divisions, of which Mirova is the one specializes in responsible investment. Natixis Asset Management has been a PRI signatory since 2008, and practices responsible investment as an integral part of its CSR policy. Notably, this translates as the progressive incorporation of ESG criteria in addition to responsible voting and engagement practices. • where the stakes of sustainable development are part and parcel of the thinking process. • the principal environmental and social issues facing the company at all levels, from the production process to the supply chain, to the end-use of goods or services. • the means deployed in the aim of improving social and environmental outcomes, as well as the results achieved relative to predefined goals.